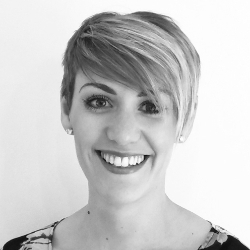 Hannah L is a private OT practice in the Yorkshire region. We provide high quality, personalised services for adults and children at competitive prices. We work with private individuals, case managers, solicitors, health and social care providers and charities, we are always looking to form new partnerships and welcome new referrals. Hannah formed her own business in 2015 due to her passion for excellent, thorough and personal centred services. Hannah L is a forward thinking and ambitious practice, actively pursuing opportunities to develop clinical skills, stay abreast of current best practice and offer clients the most current aids and adaptations. We offer highly skilled OTs in paediatrics, ABI, TBI, spinal injury, orthopaedic injury, adult rehabilitation, long term condition management, neurology, stroke rehabilitation and postural management. Hannah is a handwriting without tears programme facilitator and works with children across the region to develop their handwriting and fine motor skills to enable independence in daily life. As a previous colleague and client of Hannah I would like to offer a review of her services. Hannah is an innovative individual with problem solving capabilities. Hannah is a kind and approachable individual who is always professional. After a personal injury Hannah assisted me to work around my injury effectively enabling me to continue with everyday tasks and also health and fitness sessions. I was concerned this would not be possible however Hannah used her skills to assist me to make adaptations and use a support which has allowed me to work out and successfully carry out daily tasks. As I have worked with Hannah and also used her services I feel I can with great confidence recommend her services.